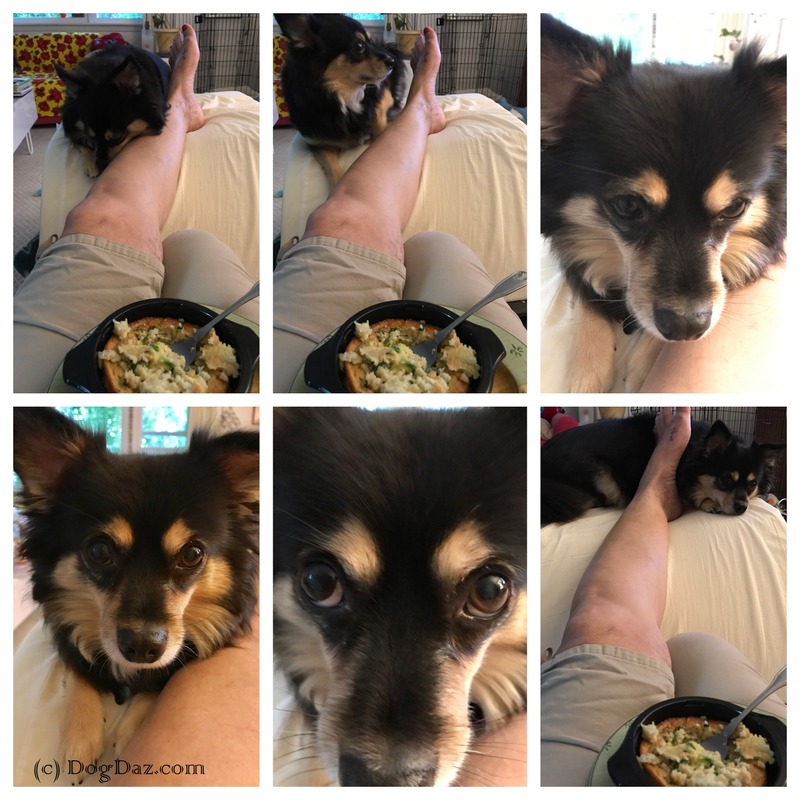 Wordless Wednesday: You Never FEED ME! The poor starving overweight little man. Surely no one ever feeds him. We just don’t know where those extra 4 lbs came from. Ah yes! The calorie devils. Cute. Tippy has gained 5 pounds. The vet suggested feeding her a little less, just so she doesn’t gain anymore. 4 pounds! Uh-oh, C. That’s a lot of poundage on a little guy. Mom takes a nervous breakdown if I gain ONE pound! #treatrestriction Good luck, buddy. Mom did too. While she was laid up V mistook Lulu food for Charles food. Mucho calorie difference. V can’t. And he knows it.